Winds in the the designated blizzard area may gust to 45 mph or higher. 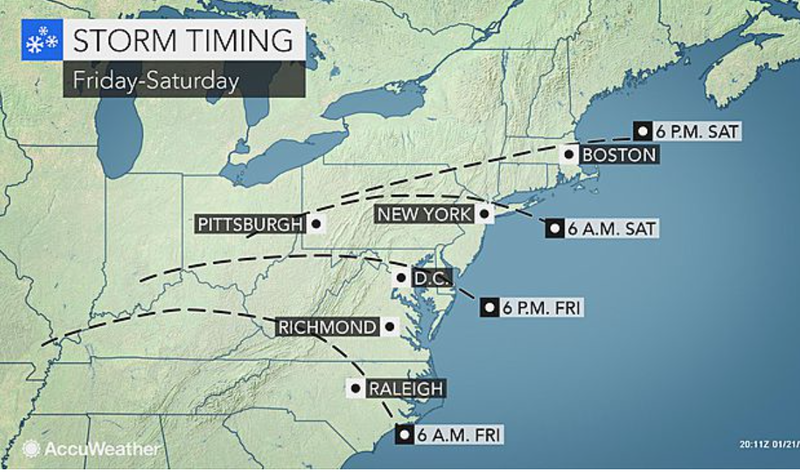 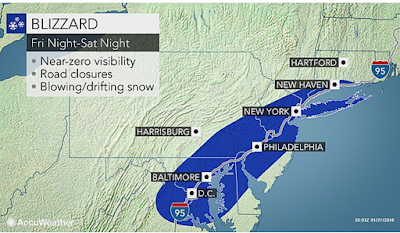 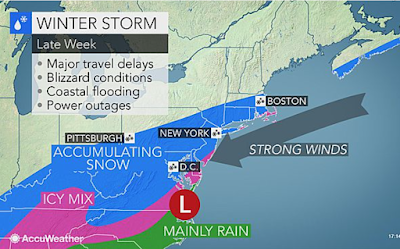 Details from AccuWeather. 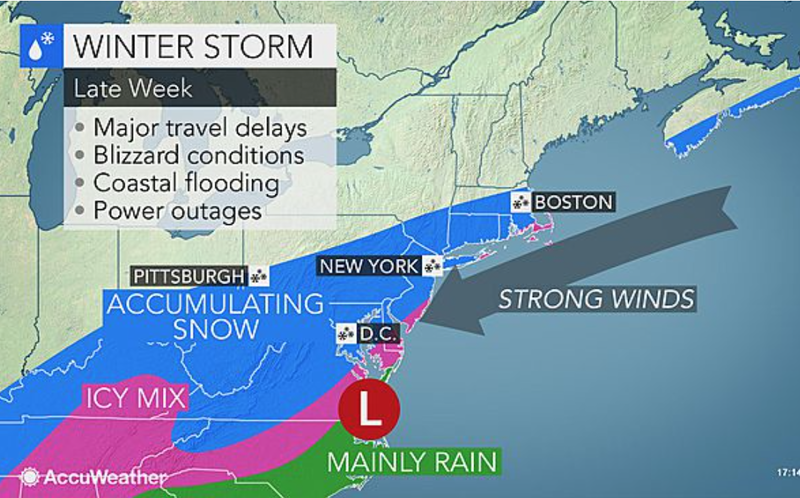 In the "icy mix" area, there will be scattered power failures, especially in North Carolina.